How do my payers manage their own recurring plans themselves? We provide your account with a Payer Portal. In the dashboard, we provide you a link to the Payer Portal Sign-in page. You can put this link on your website or you can send it to your payers. This link allows your payers to retrieve a secure, unique link of their own so they can manage and update their own recurring plan. By default, in the email notifications, we allow you to choose to send to your payers, we include a link to the Payer Portal sign-in page. 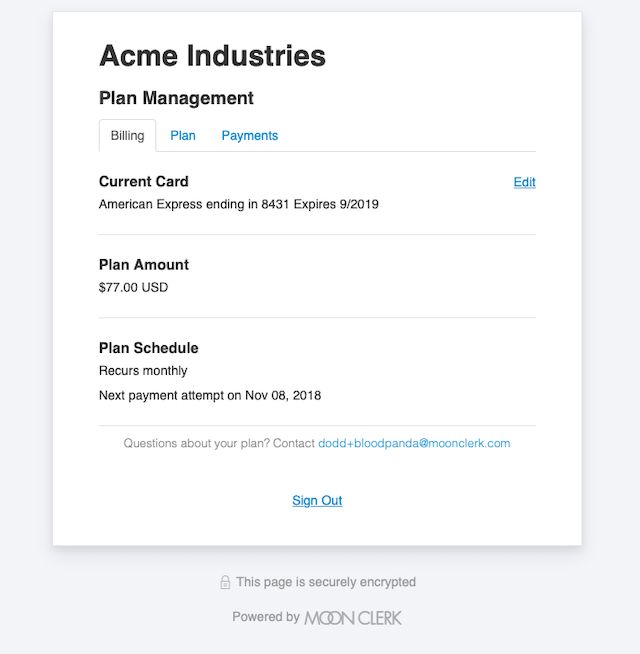 You can apply a theme to your Payer Portal so that it matches your site. 1a) If the payer arrives at the Payer Portal Sign-in page from the Payer Portal access link we provide in the dashboard, they will enter the email address associated with their recurring plan, and click “Send link”. 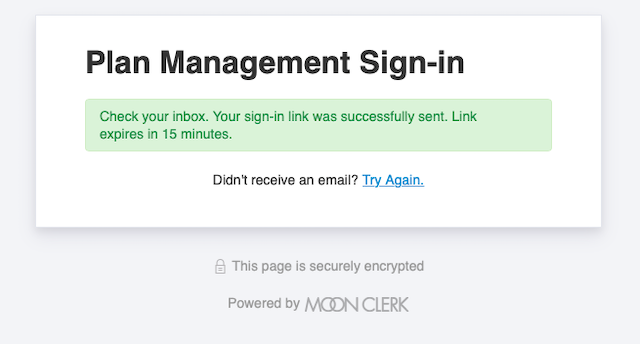 2) The payer checks their email and click on the secure, unique link inside that email. For security purposes, this link expires after 15 minutes but they can go back to the Sign-in Page to receive another link if needed. 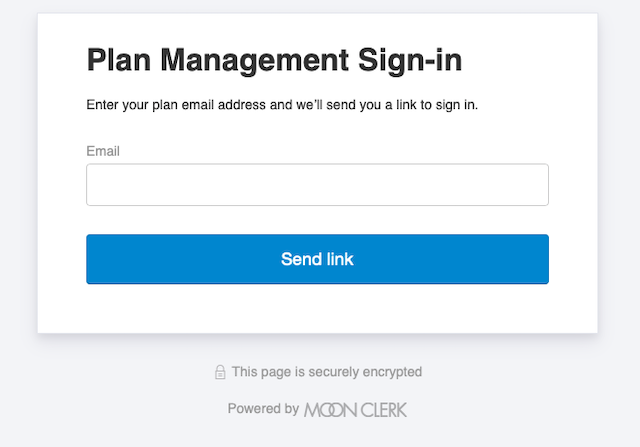 3) The payer is now able to manage their recurring plan based on the settings in the Payer Portal section of your MoonClerk dashboard.